This is the second year the kind folks over at OOTP have provided me with an advance copy of their outstanding OOTP Baseball franchise to preview, and this year's edition continues their run of excellence and improvement. 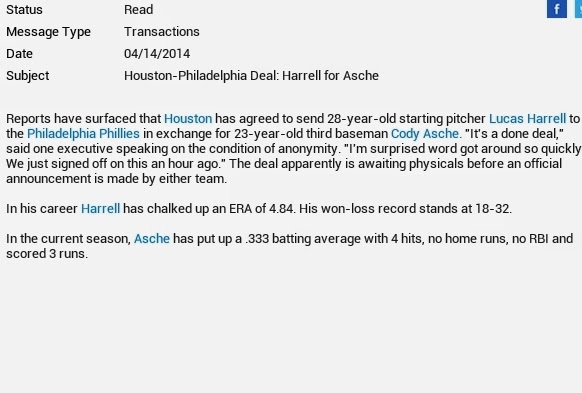 As good as OOTP 14 was, OOTP 15 is even better. Not only do they continue to fine tune their ratings and simulation accuracy year over year, but they constantly add exciting, new features to make their product even more immersive (read that as addictive). This year's new features include the ability to run full international leagues (NPB, Mexican, Chinese, Korean, Italian, Cuban, Taiwanese, and Dutch leagues are included), including a posting system for players to move from one league to another. Also new for this season (though not yet fully functional; a patch will be released soon) are 3D renderings of parks and simmed gameplay. One of the great things about this franchise, too, is that there is an extensive modding community that allows players to circumvent sticky trademark issues, so with a quick download you can add actual player pictures, team logos, etc. All this is in addition to their extremely detailed gameplay options. They have the full complement of minor league levels, including the new-for-this year Dominican and Venezuelan minor leagues. Their draft system is very realistic. You get to choose how much or how little you want to micro-manage the day-to-day baseball operations, including rosters, lineup, promotions, trades, arbitration...if you can think of it, it's in the game. Being an Astros fan, I had to channel my inner Luhnow to try to rebuild Houston into the perennial title contenders we all know they'll soon be. (Right? It's gonna happen, right? Please?!) Here is that journey through the 2014 season. Look at this handsome devil. He looks just like me. My first order of business was to check in with the boss. Gee, thanks for the vote of confidence there, Jimbo. As an example of how awesome it is to be able to play GM, I've decided George Springer will make the squad on Opening Day. Surely he alone can make me an early season favorite, right? Well maybe not. I'm not sure why the Dallas Rangers are expected to do so poorly but, as an Astros fan, I'll take it! Another must as an Astros fan is dumping Lucas Harrell. If anyone will make a bad trade to take him off my hands, it's Ruben Amaro, right? For the most part, I let the season sim itself out from here. Surprisingly, heading into July my squad was a couple games over .500, so I traded in a couple spare parts to shore up the major league squad. Nothing drastic, as we're still all-in on the rebuild, but I wanted to add a couple bona fide major leaguers with "veteran presence" to help with the potential run at a wild card. Computer issues prevented me from getting some good screenshots from the stretch drive but, predictably, my club game up short of the playoffs, though we did get 70+ wins. 2015 was a different story, though, as Jon Singleton had a solid rookie season, Brett Oberholtzer learned a new pitch and took a huge step forward, winning the Cy Young award, and Carlos Correa and Domingo Santana gave the club a huge shot in the arm in the second half to lead Houston to the playoffs. That's right. Your 2015 Wild Card Astros. Another of my favorite things about the OOTP franchise is that, if you want, you can set it so that the league evolves through things like expansion and rule changes. There are also Story Lines, that give the game a well-rounded feel, giving you a peek into the personal lives of your sim-players. 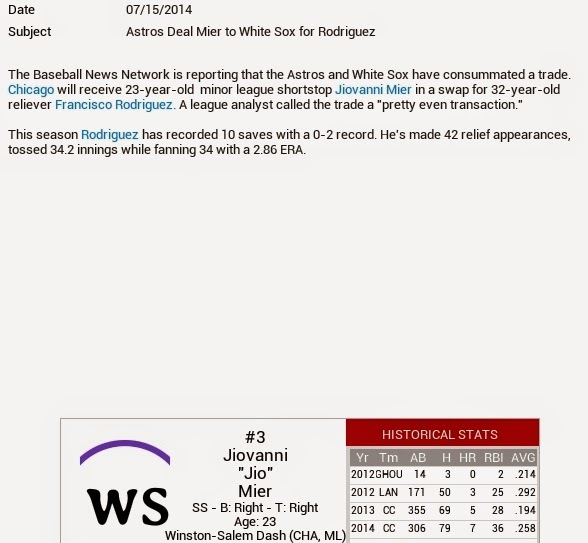 One thing I haven't touched on this year's version of OOTP is the ability to set up fictional and historic leagues. Want to manage the '27 Yankees? You can do that. Want to create your own, 12 team league with random cities, high school and college leagues feeding your draft, and no minor leagues? You can do that. And my favorite option is to randomize what year historical players show up. In OOTP 14, Stan Musial was an absolute beast playing for the Mets in 1995. 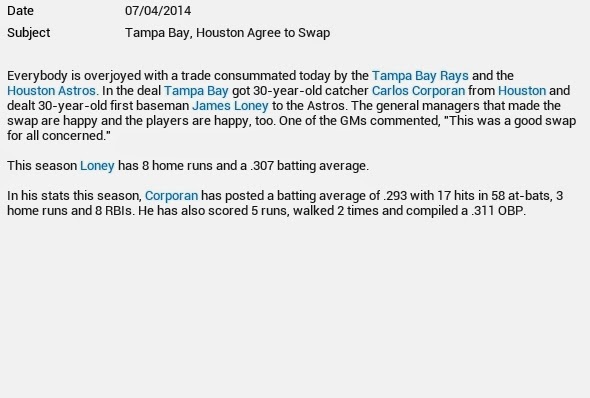 It is no exaggeration to say that OOTP 15 is everything you could want in a baseball simulation game. Go get it.